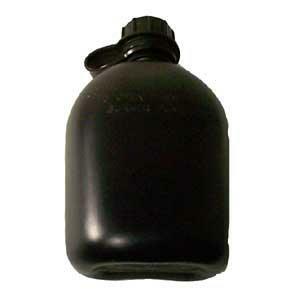 1 Quart Plastic Canteen (Black)  - $4.00 : Advantage Supplies, Inc.
Clearance Item, ALL SALES FINAL, was $4.00! Quantities subject to availability. Brand new condition unless otherwise stated. One quart in size. Military issue three piece bladder type.